Dr. Luis “Danny” Bathen did not get much sleep when he was a student. Waking up at 4:30 AM, he’d get to school by 5AM to take extra courses. Then there was wrestling practice after school, the night job at McDonald’s, and then homework when he returned home at 1AM. But he knew all of that hard work and dedication would pay off, and Dr. Bathen is now on track to becoming an IBM Master Inventor as a Research Staff Member at the company’s Almaden Research Center. Dr. Bathen gets more sleep these days, and he needs it to tackle his considerable responsibilities at IBM working on cyber security, artificial intelligence, quantum computing, distributed and decentralized systems. As the technical lead for multiple initiatives including work on key management for the consortium that manages all the necessary cryptographic material for Blu-ray media, Dr. Bathen provides IBM with the ability to support new business opportunities in the areas of blockchain, cryptocurrencies, machine learning, and the rapidly emerging internet- of-things. Born in Quetzaltenango, Guatemala, Dr. Bathen spent his much of his youth without the daily presence of his father, who emigrated to the U.S. to work and support the family. He recalls asking the only paternal figure in his life, his uncle, if he thought he would one day be able to join the U.S. space program some day, to which his uncle replied: “As long as you work hard, and study, why not?” Those words stuck with him. Young Danny’s father eventually found sponsorship for a work visa and brought his family to Anaheim, California. He was introduced to computer science during a summer boot camp program and was soon immersed in the information and computer science program at the University of California, Irvine. His talent as a student earned him grants and scholarships that allowed him to quit his part time jobs and begin doing research as a Ronald E. McNair Scholar at UCI. An internship at IBM led to a part-time job at the company while he was still an undergraduate. Dr. Bathen’s undergraduate research garnered a CAMP/McNair Statewide Student Researcher of the Year Award in 2005 and before long he was awarded both the GEM/Intel Fellowship and the Eugene Cota-Robles Fellowship Award for graduate school and directly began his Ph.D. His doctoral program was punctuated with internships at Intel and IBM, and he added an NSF/UCI SFS Fellowship to his roster of achievements. By the time he finished his doctorate he had published over 24 research papers and 8 journals and garnered his first best paper nomination and his first best presentation award. Upon completing his Ph.D., Dr. Bathen, was offered a post-doc position at UCI as a lead research scientist exploring the effects of process variation of processor power and performance. Soon after he joined the Navy in San Diego, CA, where he started working on cybersecurity, with a focus on Information Assurance. In 2014 he joined Intel’s Engineering Leadership Program, working at Intel Labs, as well as their New Business Initiatives group. After exploratory work at Intel on workload-aware QoS management for data centers as well as the Blockchain ecosystem, Dr. Bathen returned to IBM and his current position. 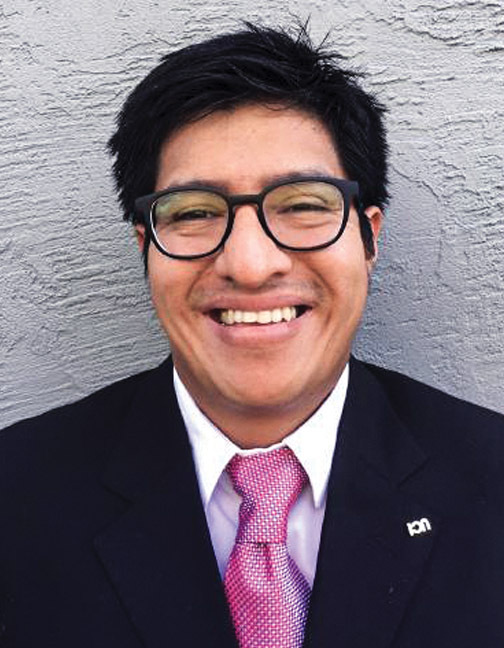 A member of IBM’s Silicon Valley Latinos Diversity Group, he has contributed greatly to IBM’s IP portfolio, with well over 22 patents filed and granted, and 3 published papers, as well as contributions to the open source community.